The ARDM-HDSDI Module for AR-DM2-L Audio Monitor from Marshall Electronics is a module designed for use with the AR-DM2-L Digital Audio Monitor. Expand the functionality of your monitor by adding this unit. This model feature (1) multi-rate SD/HD-SDI video input with auto-detect functionality and (1) reclocked SD/HD-SDI loop-through output. It also supports (8) stereo embedded channels or Dolby multi-channel decoding. Add this module to your AR-DM2-L Digital Audio Monitor to expand its functionality. 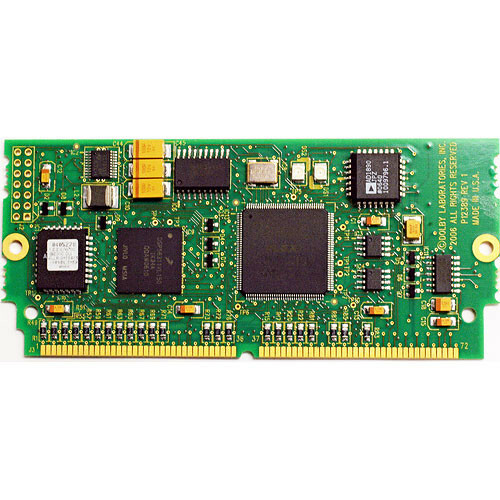 This model supports (8) stereo embedded channels or Dolby multi-channel decoding.